Enjoy today’s spotlight and review of the festival’s Audience Choice Runner-Up: Against the Grain. 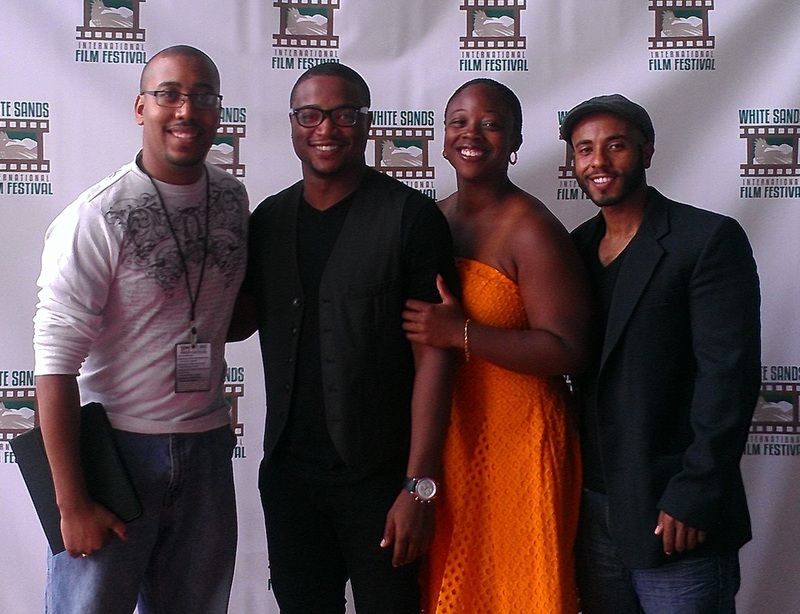 Directed by Elias Mael, Against the Grain was one of the official selections for The White Sands International Film Festival in the category of “Feature.” It played twice (as were all “features”) and impressed me and I was happy to have the chance to meet with and interview director Elias Mael and the lead actor Vaughn Wilkinson. 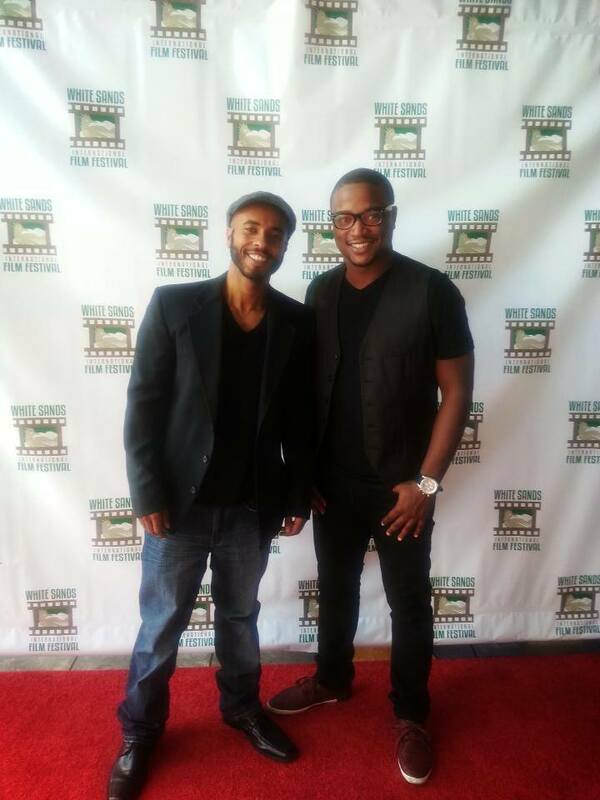 Below you will find my review of Against the Grain (which posted previously on this site) and my interview with Elias Mael and Vaughn Wilkinson (accompanied by friend, assistant and supporter Marquitta Cooper) who I had the pleasure of speaking with about this film. Working against the grain to break the chains of stereotypes and sitting on the stoop, Isaiah Johnson leaves inner city Oakland to attend college with aspirations to be a neurosurgeon one day. Facing challenges from without and within, including peer pressure from “the boys,” an ailing mother, drive-by shootings, misunderstandings with the judicial system, trying to “get the girl” and fighting to be judged by more than just where he comes from or the color of his skin, Isaiah faces more in his first year of college than most people may in their entire life. With elements seemingly taken straight from the pages of a Tyler Perry play, Against the Grain goes a step further and carries a level of truth and emotion with it that creates genuine empathy and sympathy with multiple characters. Both the dialogue and the acting are executed well and make this feature already seem as if it were one produced and distributed by Hollywood. It is not without its opportunities but the way in which it touches the heart and challenges the mind is unforgettable. Terrence: First of all, congratulations on your film’s acceptance as an official selection into the White Sands International Film Festival. I really enjoyed watching it. Elias: Thank you very much. 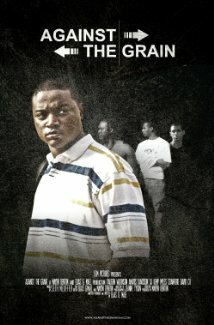 TFF: Against the Grain is a touching film that I found to be relatable. I felt that I knew the characters because I know people exactly like a lot of those in the film. Can you share how the film came to be? VW: Yes, a lot of people have said the same thing in that they “know” the people in the film. EM: I wanted to tell a universal story to all races and borders…a human story. One that is authentic about being plucked from your comfort zone such as Isaiah was when he was put into the prestigious university. TFF: Well, it really comes through with the characters and the fact that the actors did so well portraying the reality of the situations is a testament to your writing and story. EM: Well, thank you. I think too many films are sugarcoated and I wanted to tell a real story. TFF: What was the inspiration for the film? Is it based, in part, on some of your own experiences? EM: In part, yes. There are several personal experiences of my own in the film. I spoke with several friends that attended UCLA that had some of the same story and was compelled to tell it. Along with my producing partner Mayon Denton who helped tremendously, I wrote the story. EM: Pretty much everything…with the support of a great cast and crew. It was a great opportunity to make the movie I wanted to make without interference for the vision I had for the film. It is my first feature film. TFF: Wow. And it is so well done. One of the things that just works so well is the cast…including Vaughn who is here with us. How did you find such great talent to tell your story? EM: We held auditions for two weeks and when Vaughn auditioned it was his emotion and sincerity that really sold me. He was even able to tear up in the audition. VW: It really was easier to work on set because of the actors I had the opportunity to work with while filming. From the talented actress who played Nicolette’s character, to my “homeboys” in the film, to my “father,” they were all amazing and we had such chemistry that we all were able to be “in the moment” and it never felt like acting. EM: And we rehearsed for two weeks in order to give the actors time to mold their characters and form a familiarity and a bond with one another. TFF: Was everything in the script, as far as dialogue, pretty much exactly as written, or was there quite a bit of leeway there? EM: It was all pretty much exactly as written. VW: There was a balance to a degree. We stuck with what was written but still felt the freedom to explore what the characters felt and experienced. EM: I wanted the lines to feel real and told the actors at times that if it didn’t feel real then not to say anything. TFF: One of my favorite scenes in the film, Vaughn, is when your character arrives at college and “dictates” the sleeping arrangements with his new roommate. EM: That scene actually played out exactly how I had it in my head. 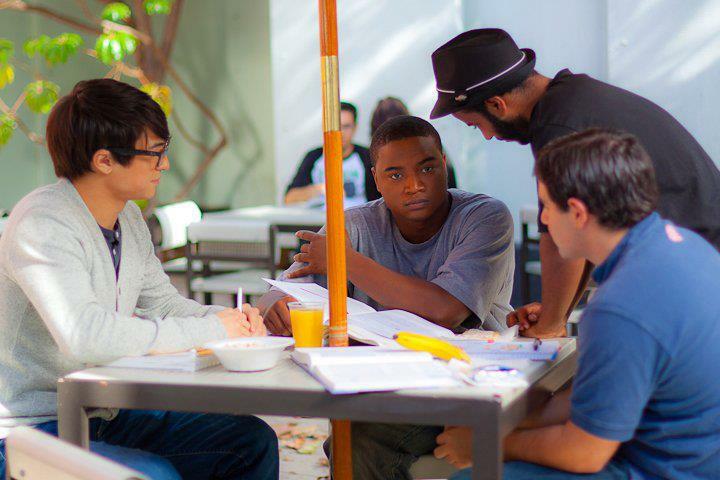 It was based on a personal experience in college and I really wanted to make sure early that it was in the script. TFF: And how long did you all work on the film? EM: Well, we shot for a total of about four weeks…30 days in the space of two months…in Los Angeles and on a low budget. TFF: Oh, so the story is based in Oakland but was actually shot in Los Angeles? EM: Yes. We were blessed to find a street corner so similar to the Oakland neighborhood that I was depicting that people from my hometown (I’m from Oakland) actually thought we had filmed in Oakland! TFF: Wow. Well, I have a random question for all of you. I like to ask everyone. Who is your favorite superhero? EM: Well, I don’t want to be boring, but I don’t have one. There are so many real ones in the world so I don’t spend time fantasizing about ones that don’t exist. VW: Well, how do you follow that? I mean. I probably would choose Spider-Man because he is just so fast and elusive. TFF: Vaughn, you are a man close to my heart. We can be best friends forever! BFFs! And how about you Cooper? TFF: I’m still waiting for a WW movie. Hopefully one day soon! TFF: So, Vaughn, your acting really is what sold me on your character and made him very relatable to myself actually. Was this your first acting job? and where can we look for you in the future? VW: Well first of all, thank you so much. And, no, it wasn’t my first. I actually had the opportunity to be in an episode of 90210 where you can spot me as a correctional officer. I also was in Hollywood Chaos with Vanessa Simmons. As far as future projects: I am writing some stuff which is really cool to have that perspective. I am working on a pilot. But I am not stopping acting either. My grandmother is my inspiration as she encouraged me to do what I really want to do. And this opportunity was so great to take back to her and show her. I am still constantly auditioning for roles in both TV and film. You can see me in a commercial even for Red Robin. TFF: Yumm!! 🙂 And, for you Elias? What is in the future for you? EM: I am writing a lot of scripts actually and seeking funding for them. I am currently focusing on a project about human trafficking and organ harvesting in East Africa. It is ambitious as it entails events in five different countries, so I am talking to investors. TFF: Ambition is a good thing. What filmmakers serve as inspirations for you? EM: I am a big fan of Ron Howard, David Fincher, Danny Boyle, Spike Lee, Jon Singleton and a few others. TFF: Howard? Oh I am so excited to see Rush. EM: I have seen it already. You will like it. TFF: I’m so envious. I can’t wait. If you could tell those who will be reading this interview anything, what would you like to relay to them about Against the Grain. EM: Look for the video release sometime in the new year and I encourage you to go to the official site and the Facebook page to stay abreast of the release date and be aware of when it is out on Video OnDemand. It is a human story that anyone can relate to, regardless of race, and we are honored to have people watch it. VW: Yes, everybody that has seen it has loved it. If you want to see a positive uplifting story about life’s challenges and persevering then you’ll want to…have to…see this movie. I’ve probably seen it 20 times already. TFF: Do you have a favorite part? VW: Yes, the cinematography and the essence shown through it in a scene where my character walks outside with his best friend and they are leaning on a car is just amazing. It captures the essence and the entire scene of the hood. The trauma and drama of that scene is still my favorite. TFF: Well, I want to thank you…all of you…for sharing your wonderful film here at the festival and for taking the time to share a little bit about yourselves and your work. I look forward to more from your careers and am excited about where you are headed. Don’t miss Against the Grain when it becomes available for viewing. 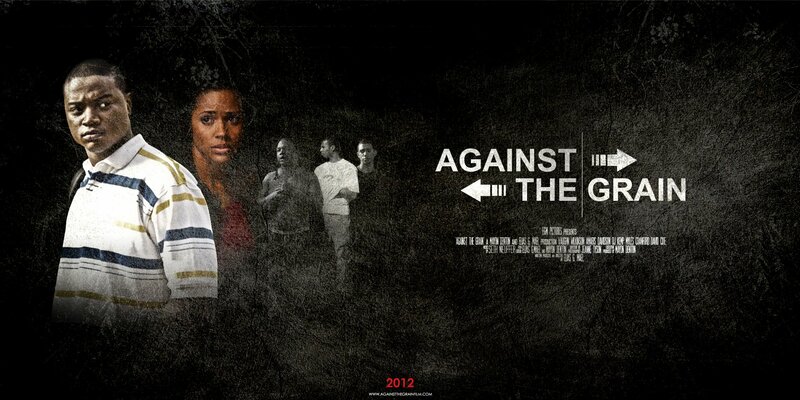 Become a fan of Against the Grain on Facebook to learn of future screenings HERE. As the official blogger and reviewer of WSIFF, don’t miss a single post of the activities here. For all of the reviews, news, interviews and more or if you’d like to learn more about WSIFF click the 2013 WSIFF coverage link at the top of the page, or click the photo below. Next Movie News Monday for September 16, 2013.